THE SOCORRO UFO HOAXERS: HOW THEY DID IT! THE TRUTH ABOUT THE FBI-UFO MEMO? STANFORD PHYSICIST: WE HAVE PHYSICAL EVIDENCE OF UFOS! 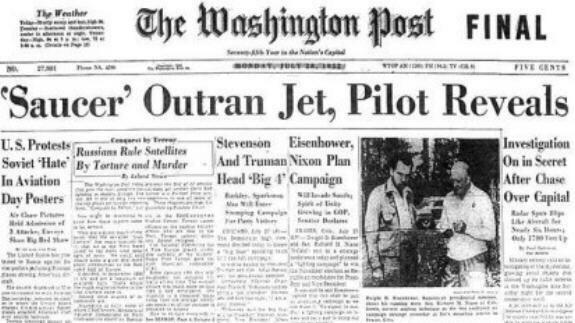 The Washington DC UFO Incident is one of the most significant cases ever documented. Sightings from both commercial and military pilots were recorded as well as radar hits from both military and commercial radarscopes, one of which reached 7000 mph. There were multiple events spread out over the last half of July in 1952. The press conference that was held by the Air Force to attempt to explain the event, presided over by General John Samford, was the largest held up to that point since the end of World War II. 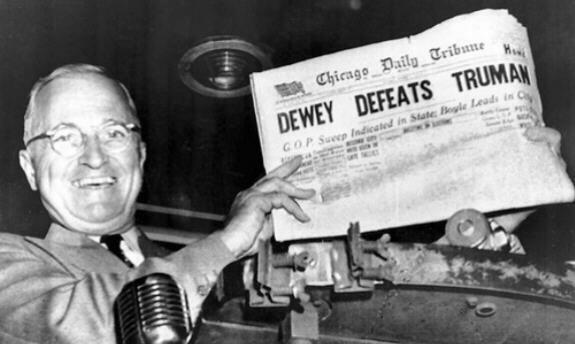 Here is a more detailed account of this headline event from that day long ago. While publicly, every effort was made to keep the public calm, privately, very high level meetings and conversations involving President Truman took place as a result of this famous incident. A little additional background on Truman's schedule around the DC case dates. Truman had been in hospital a few days and got out just before the 1st weekend of sightings. Then during the following week, went to Chicago for the Democrat National Convention and then spent some time in his home town until August 5. This from Capt. Edward Ruppelt, Project Blue Book director during the incident, in his 1955 book: "About 10:00 A.M. the President's air aide, Brigadier General Landry, called intelligence at President Truman's request to find out what was going on. Somehow I got the call. I told General Landry that the radar target could have been caused by weather but that we had no proof." Here's a more detailed account of Ruppelt's activities surrounding the DC UFO incident from that terrific book, The Report On Unidentified Flying Objects. It's available online in its' entirety. 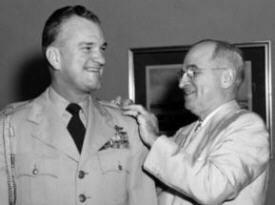 General Robert Landry was, in fact, Truman's Air Force Aide, his personal red tape cutter with the Air Force, and briefed Truman on UFOs on a regular basis starting in 1948. From Landry's 1974 oral history on record at the Truman Library, which can be found here in its' entirety: "I was directed to report quarterly to the President after consulting with Central Intelligence people, as to whether or not any UFO incidents received by them could be considered as having any strategic threatening implications at all. The report was to be made orally by me unless it was considered by intelligence to be so serious or alarming as to warrant a more detailed report in writing. During the four and one-half years in office there, all reports were made orally. Nothing of substance considered credible or threatening to the country was ever received from intelligence." As an aside, I believe that when Landry refers to "Central Intelligence" here he means the Air Technical Intelligence Center (ATIC) and not the Central Intelligence Agency (CIA). Finally, on September 3, 1952, a meeting was held and documented on the President's Calendar. The connection between the DC UFO incident of late July and this meeting is self-evident based on the stated purpose of the meeting, its' timing and its' attendees. This was an incredibly important meeting and it regarded UFOs. Here's the entry from Truman's calendar at the Truman Library's website. Ironically, the meeting had 12 attendees. While the famous Majestic 12 documents are certainly very obvious fakes, no one can deny this meeting or its' subject matter. The public record speaks for itself. Here's a little more on one of the attendees, Brigadier General William M. Garland. In September 1952, General Garland was named chief of the Air Technical Intelligence Center at Wright-Patterson Air Force Base, Ohio. He must have made a good showing of it at this meeting. He was rated a command pilot. 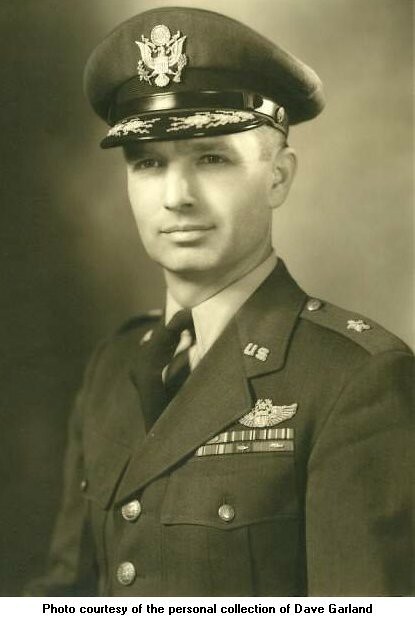 "Major General John A. Samford had replaced Major General Cabell as Director of Intelligence, but General Samford must have been told about the UFO situation because he was familiar with the general aspects of the problem. He had appointed his Assistant for Production, Brigadier General W. M. Garland, to ride herd on the project for him. Colonel Dunn briefly outlined to General Samford what we planned to do. He explained our basic policy, that of setting aside the unknowns and not speculating on them, and he told how the scientists visiting ATIC had liked the plans for the new Project Grudge. There was some discussion about the Air Force's and ATIC's responsibility for the UFO reports. General Garland stated, and it was later confirmed in writing, that the Air Force was solely responsible for investigating and evaluating all UFO reports. Within the Air Force, ATIC was the responsible agency. This in turn meant that Project Grudge was responsible for all UFO reports made by any branch of the military service. I started my briefing by telling General Samford and his staff about the present UFO situation." Notes from Ruppelt's personal archives also reveal that Gen. Garland himself had already seen a UFO while stationed in Sacramento, CA in the late 1940s, was the catalyst behind a very famous Life magazine article published in April, 1952 before his appointment to lead ATIC, and when he retired from the USAF, he went to work as a consultant for the RAND Corporation. If you did look at the link above to Garland's official biography at the USAF website, he clearly had a wide ranging and exemplary career highlighted by his service in the Eighth Air Force where he was involved in the planning of the pivotal Ball Bearing Raids of Nazi industrial centers, but this UFO-related activity clearly indicates how seriously the issue was taken at the highest levels. Think about it . . . all this is taking place right in the middle of the Korean War! Here's a little more on another attendee, John Fowler. His promotion coincided with this meeting as well, a clear indication of its' importance and also a pattern that takes place in the Air Force regarding high ranking officers who had involvement with the UFO phenomenon . . . they keep getting promoted! 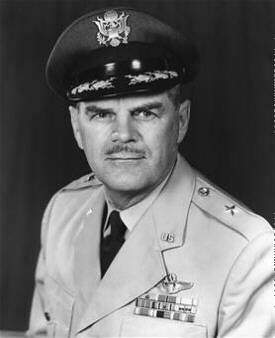 "Joining the Directorate of Intelligence at Air Force Headquarters in March 1952, General Fowler was deputy to the assistant for production. The following month he was named assistant deputy director of targets there, becoming deputy director that September," per his USAF online biography. In this instance, targets refers to radar targets. Why two members of the RAND Corporation were there is anyone's guess although speculative papers regarding alien visitation by RAND employees have been written as this link evidences. Henderson headed RAND's Washington office, was an original member of RAND's board of trustees and acted as Associate Director. The publicly disseminated explanation, temperature inversion, simply doesn't hold up when you consider that military pilots reported solid objects moving at supersonic speeds well beyond what aircraft of the day were capable of. The September 3 meeting also seems to point to Truman and his advisers not being convinced of the weather explanation either. Aside from that, if the case was nothing more than a natural weather phenomenon, shouldn't we have had the same sort of incidents on at least an infrequent basis? Harry Barnes, the senior air traffic controller in the tower at the Washington National Airport, didn't think it was a temperature inversion when he said, "Every man in here knows temperature-inversion effects. When an inversion's big enough, it picks up all sorts of ground clutter. Water tanks, buildings, shore lines, and so on. But anybody can recognize it. You'll see huge purplish blobs, but nothing like those things we tracked. In the six years I've watched the scopes, absolutely nothing, high-speed jets, storms, inversions, or anything else, has ever caused blips that maneuvered like that and we've had identical weather systems." Neither did Al Chop, who worked at the press deck at the Pentagon and was roused out of bed at midnight and hurried to Washington National Airport. "And the guy that the Colonel, that Dewey bought with him, declared that as far as he was concerned, those were real objects up there. No ground clutter or nothing. And the fact that when we had an intercept come in, and those things vanished the very instance that we could see the planes coming in on the radar scope. The minute we saw the beginning of these guys, the UFOs just disappeared. They just left," Chop stated in an oral history for The Sign Oral History Project. "I mean, the fact that obviously whatever these things were had intelligence enough to get out of the area when they had an intercept going in. They had to be intelligently controlled. You know, I was very apprehensive about that! I, in fact, was scared! I don't mind telling you this, it scared me! It was frightening! And I think everybody in the room was very apprehensive! About three hours later, when we got the second intercept up, and sent one guy up round the north part of the city, he didn't see anything. But Paterson, down in the other quadrant down here, flew right into the middle of four of them, and he actually said, "They're closing in on me! What shall I do?" Well, what the hell is he going, "what shall I do?" What was I going to tell him? I’m a civilian. I am not going to tell an Air Force pilot to fire at that damn thing or anything! I didn't say anything! Nobody said anything! All of a sudden, these things began to move away from him, and he said, "they’re gone!" The Washington Merry-Go-Round, as the case came to be known in its' day, is one of the most famous and compelling cases ever recorded. 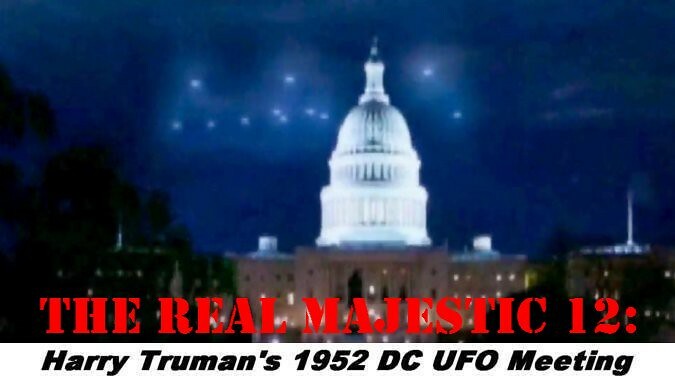 It is also the only UFO case that led directly to a definitively documented White House meeting, clearly substantiated on President Harry S. Truman's calendar and available in his presidential library's online archives to this day. With all the knowledgable people in DC, why is America slipping toward oblivion? We should have the intelligence to stop the subhuman activities of those out for our destruction. I don't like to conclude that all agencies of the US Government are involved in a coverup, thus aiding our enemies in our destruction. Please enlighten me. Thanks. Our government took its' eye off the ball and stopped focusing on fixing fundamental problems, but that's a different debate for a different thread. Just my opinion. I do have some interesting information about Eisenhower, UFOs and the military industrial complex that I'll be writing up as soon as I get around to it and you could make an argument there;s a relation. if we are as one,and knew the truth about what we call god,then we should accept and respect his existance as the world leader as an alien n the 12 should b shaking in there boots..distruction,poverty ,ignorance n greed will no doubt go unpunished and the fact should not b ignored as we are no more than living beings designed in a lab..god sees who distroys and i doubt that at the end finds mercy..how can 12 greedy morraless people distroy one planet in such a way n timeframe..i just hope i find each one prior as i believe in privacy,justice,and the humanrights of all races and have had my own experiences and issues with the so called rulers of the world including the right to live my life as it was intended,due to non other reasons but my grandfathers positon in the ugly history of the ss still alive and healthy to this day..will there ever b peace,normality,privacy,or perhaps a real history lesson,including the truth of our existance..ufos do exist..saw my first at 16,is it realy sooooo lol scary,i believe not,where would we b without the goverments that continue to seek n distroy,could the answer perhaps be PARADISE..I HOPE THE HUMAN RACE SMARTENS UP AND DOESNT FORCE THE NECESSITY OF ORGANISED CRIME TO STAND BY WHAT WE BELIEVE IN..ALTHOUGHT IT SEEMS TO B THE ONLY ANSWER ,SOLUTION FOR TRUE FREEDOM AND DISTRUCTION OF THIS PLANET AND THE REST OF CREATION AS SUCH..CHRISSI.W. wikipedia claims that Lawrence Joseph Henderson died in 1942. 10 years prior to this meeting. The Lawrence J Henderson at this meeting was Henderson JR.
Do you have any more information about him? Links? You've got what I've got. Navy service during WWII, obviously worked for RAND and then later went into banking in California. Obviously, I've corresponded with Dave Garland who was nice enough to send along the photo of his uncle. I've also corresponded with another descendant of one of the attendees and both have told me the same thing. Nothing had been mentioned within the family and they knew nothing about this meeting until they saw this article. Very definitely the loose lips sink ships generation. The best we'll get is some idea of what happened. How much of the meeting was focused on what the UFOs might have been and how much focus was placed on the response and what to do going forward just can't be known any more. i don't have a photo of General Samford. I have a photo of General Garland. I posted an article on this subject in my blog a few days ago. They were actually pretty helpful to me early on when I started looking at UFOs. They are great reading that is for sure. It's a great movie. I actually already had a link for it at my news feed page. Just released: “The Reagan Briefing on Roswell” Now they can no longer deny the truth of Roswell! This amazing Transcript of classified tape recording made at Camp David, Maryland during a presidential briefing regarding the subject of UFOs and ALIEN VISITATION of EARTH! Very interesting an thoughtful article. Especially that General Garland also visited the Air War College in July 1947 which regadring to Thomas Carey and Don Schmitt who interviewed Magruder who was in the same class viewed a crased flying saucer and the dead alien bodies and maybe even alive alien being at Whright Patterson Air Force Base. What reallymakes me angry is that if the truth would have been told from the beginning than the planet earth would not have been destroyed that way which is it now. biocentric worldview is the objective right way and not the genetically programmed anthropocentric view of the world and universe. The unlogical mind and antheopocentrism has benn genetically programmed from those alien species which created us. The breakaway civilization sitting with their asses down in there undergreounndbases and doing nothing makes me more than angry. I hope they read it maybe they think about the wrong deeds they did and finally reveal the objective truth and reduce the human overpopulation (responsibly!) and tell finally the real objective truth about the universe and where we came from and help creat a just and natural Civilization and not a slave like civilization!